Rugby speed ladder for improving agility, leg speed, reaction and coordination. Adjustable rungs suit coaching of all ages. Flat rungs minimise risk of injury. The spees and agility ladder is available in two different sizes. The rungs can be easily adjusted to suit different speeds. The attachable ends allow you to further extend your ladder. 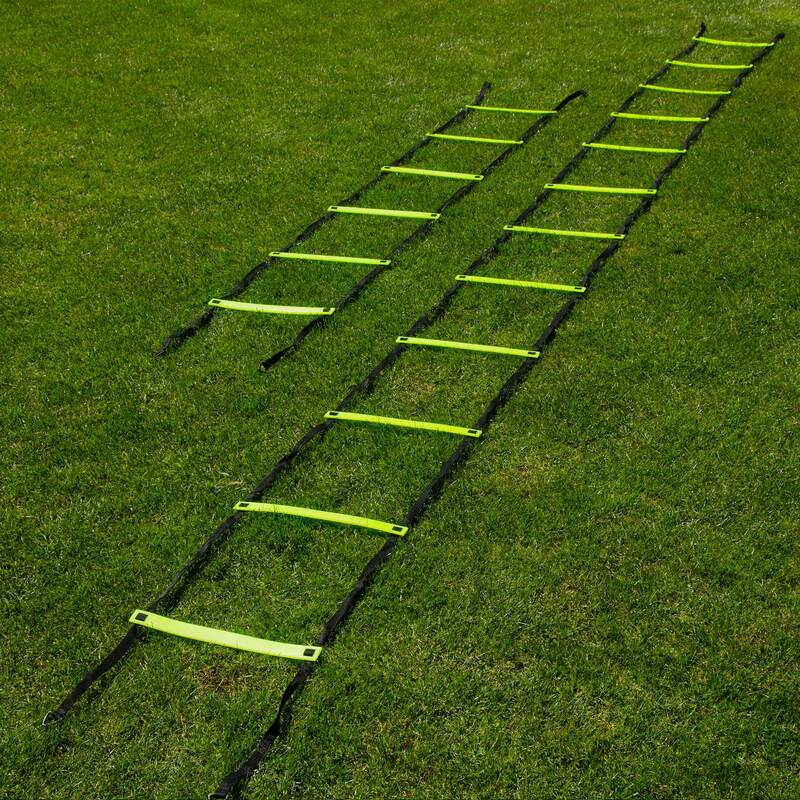 Our Rugby Speed & Agility ladder is perfect for rugby coaching sessions, training drills and workout sessions. Designed for improving mobility through stride technique, coordination, and speed, everything you need to be top of your game. Available in two different sizes this ladder is suitable for anyone from beginners through to professionals. Great for rugby clubs of all sizes or even for the garden to get in some extra training. The ladder rungs lie flat to reduce the chance of tripping and causing injury, meaning you can keep playing to your full potential. Its sleek design allows you to move the rungs up and down the ladder, allowing you to adjust the gaps to tailor it to your ability and workout style. Our rugby training ladder comes in varying lengths, so you can choose 3m or 6m, depending on your needs. If you're looking for a greater challenge, then you can add another ladder. The end of the ladders quickly and easily join to each other, increasing their length and increasing your workout. 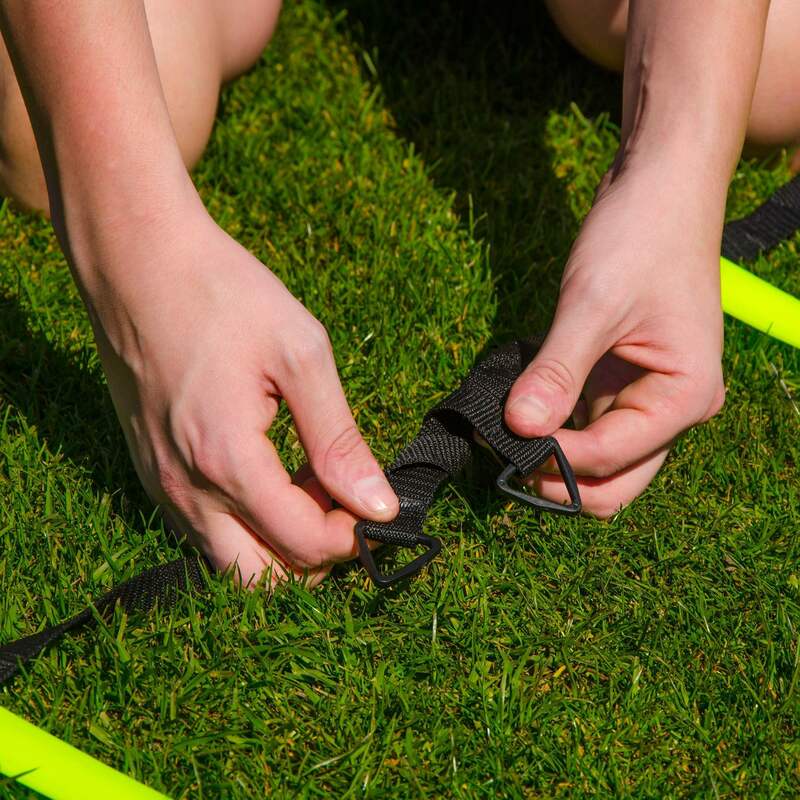 Convert your training session into top league standards with our great value speed ladder. 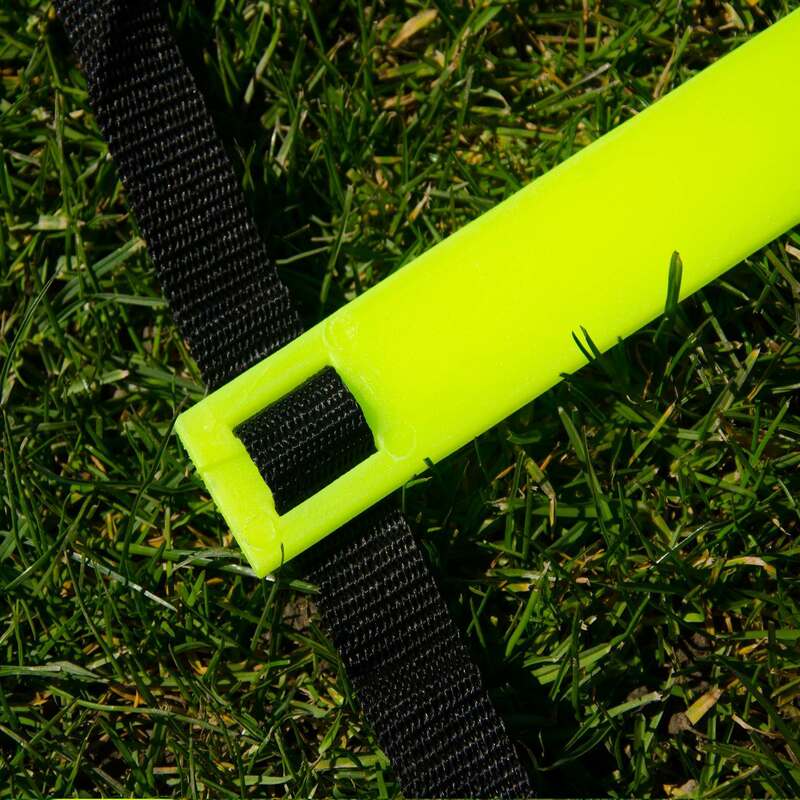 Suitable for all ages and abilities, this agility ladder is an essential in your rugby training equipment. Love the length and the price.